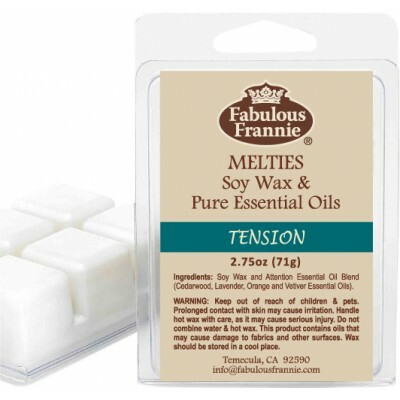 Our Tension meltie helps to relieve stress by calming and restoring the mind and body. Also, great for use when mild headaches creep up. Simply place 1-3 squares in a potpourri oil burner (never add water) and light an unscented tea light below. An electric wax potpourri burner can be used instead. 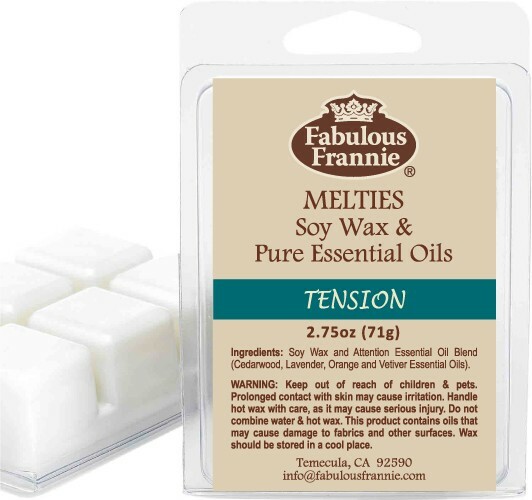 Ingredients:100% Pure Soy Wax. Lavender, Peppermint, Rosemary and Grapefruit Essential Oils. Warnings: Keep out of reach of children and pets. Handle hot wax with care, as it may cause serious injury. Do not combine water and hot wax. Prolonged contact with skin may cause irritation. This product contains oils that may cause damage to fabrics and other surfaces. Store wax in cool place.